As a reminder during this tax season as well as throughout the year, it is important to keep in mind that the IRS will not contact you by phone or e-mail regarding tax liens or outstanding tax liabilities. The IRS has strict protocols when contacting taxpayers regarding tax deficiencies, with letters of correspondence being their official method of first contact. Scammers have become highly sophisticated in the art of deception so be aware that scammers may have information on your tax situation from public documents or any social media sites you may be on. 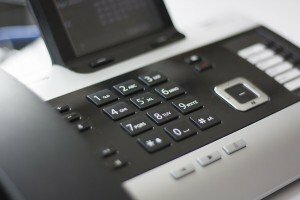 As a best practice, it is always best to question the legitimacy of unsolicited phone calls, especially for tax payments, as there are so many different scams out there. Do not call the number that appears on your Caller ID or the number given to you during the phone call as the perpetrators may be behind those numbers as well. Instead call your tax preparer, or the IRS directly at their Customer Service Number to verify if you do believe you may owe taxes. Know your Taxpayer Bill of Rights. Being informed can help you detect tax scams and reduce your risk of becoming a victim. As always, please contact our offices should you receive any communications related to your tax issues. Posted in Business Tax, News & Press, Personal Tax and tagged Audit, Federal Tax, IRS, Scam.